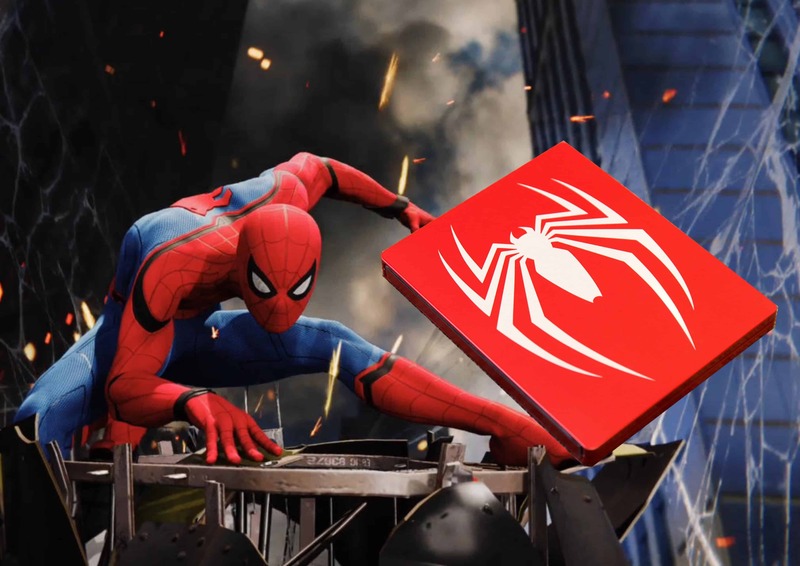 Marvel’s Spider-Man [PS4] is the latest video game to take on the legendary web-slinging hero. Critics everywhere are praising the game for its incredible visuals, expansive open world and for offering a true representation of what it means to be both Peter Parker and Spider-Man. To celebrate Sony and Insomniac’s outstanding new title, we have a copy of the game, and some extra goodies, to giveaway to one lucky reader. Despite having gone all digital this generation, I am a sucker for special editions. As such, I ended up impulsively purchasing a Marvel’s Spider-Man Collector’s Edition. At first glance, this is by no means a bad thing. After all, it looks like a great edition of the game. The problem, at least for me, is that I was gifted the game digitally for review. As a result, I have a duplicate physical copy of Marvel’s Spider-Man [PS4]. Thus this giveaway was born. Ready to enter for a chance to win? Then just keep scrolling down for all of the details. • Question 1: Which Spider-Man suits are favourites of both Hans and Edward, respectively? • Question 2: Spider-Man appears in the video. 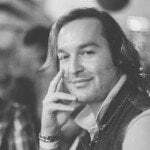 Who do you think he is (name him, if you can)? Step 1: Once you have your answers, simply fill in the form below. Step 2: That’s it. Nice, easy and, hopefully, entertaining! The Win With Vamers Marvel’s Spider-Man [PS4] competition closes on 01 October 2018 at 17:00. So please make sure to get your entries in before then. Disclaimer: This competition is not sponsored. Yes, we put this together ourselves from our own pocket. Y’all are welcome! The Win With Vamers Marvel’s Spider-Man [PS4] competition closes at 17:00 on 01 October 2018. The person who provides the best submission, as judged by the Vamers staff, and who follows the competition instructions properly will be declared the winner of this competition. The judges’ decision is final and no correspondence will be entered into. The winner will be announced at Vamers discretion after the competition closes. Competition winners are required to get in touch with Vamers within seven (7) days of the winner having been announced. Failure to do so will result in forfeiture of the prize. Vamers will endeavour to deliver the prize within 2-8 weeks as described, however, cannot accept responsibility if the prize differs from advertisement in presentation or value. This competition is only open to residents of South Africa. Entrants under 18 years of age must seek permission from a parent or guardian before entering this competition. Entrants must be over 16 years of age or have parental consent to enter this competition. 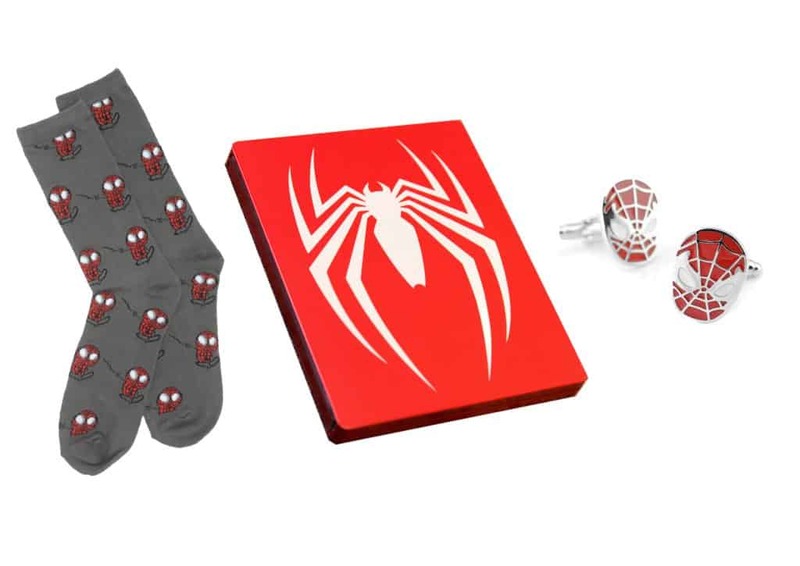 The main prize is valued at R1500 and consists of: one (1) physical copy of Marvel’s Spider-Man in Limited Edition Steelbook for PlayStation 4, one (1) pair of Spider-Man Caricature Socks inspired by Marvel Comics, one (1) pair of Red Spider-Man cufflinks inspired by Marvel Comics. There is no cash or prize alternative and all prizes are non-transferable. Only one grand prize winner per competition unless otherwise specified. Entrants are free to enter as many of the other competitions as they would like, however only one entry per person will be accepted in each competition. Winners use and accept prizes at their own risk. Vamers and the prize sponsors, if any, cannot be held responsible for any injury, accident or loss of property as a result of accepting and/or using the prize. Winners who do not claim the respective prize winnings within 7-days of being declared a winner will forfeit the prize to Vamers. By entering this competition, entrants acknowledge that Vamers has the right to disclose any and all submitted information, whether personal in nature or not, for publication on radio, television, printed media, social media and other Internet publications. Entrance into this competition includes automatic subscription to the Vamers Store Newsletter. Vamers and the prize sponsors, if any, reserve the right to cancel the competition at any time and shall not be liable to entrants for any action whatsoever. Vamers reserves the right to alter competition rules or prizes at their own discretion. Alterations become effective immediately and entrants shall not have recourse against Vamers or the prize sponsors. This competition is not open to staff (or members of their immediate families) who may be associated with the Vamers website or prize sponsors. Previous articleSamsung Portable SSD T5 Review – Small, slick, sturdy & incredibly fast!